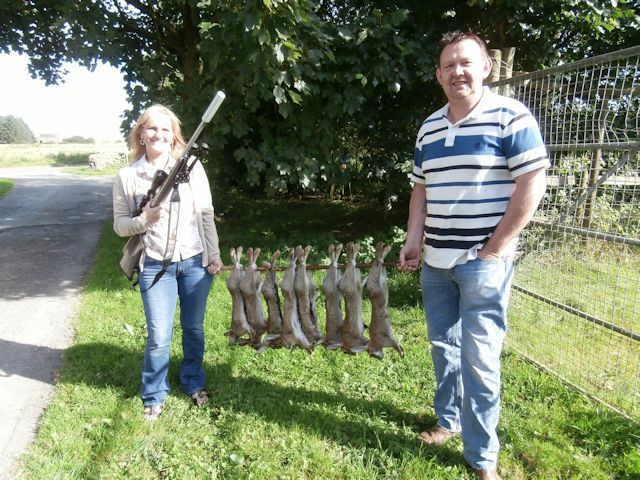 We have land available for foxing and rabbiting and we do both morning and evening hunts. We provide our clients with a complete service, tailored to their exact needs in an effort to give them an inspiring, enjoyable and fulfilling Foxing or Rabbiting experience. Click Here for pricing. 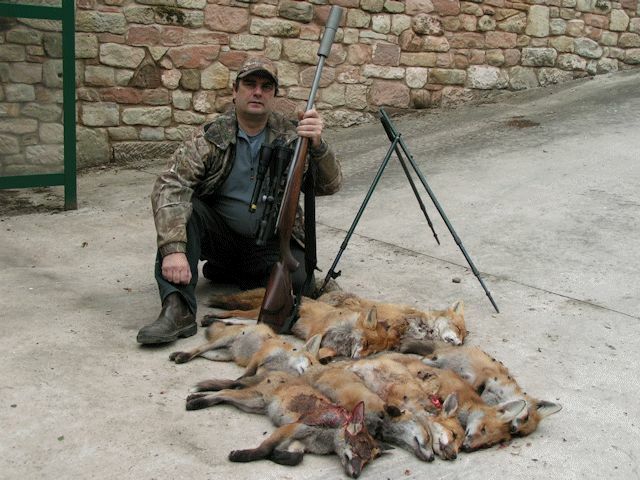 Mike with a great bag of 10 foxes. A successful day out in the field.